What is a PERM Labor Certification? March 9, 2017 by Beeraj Patel, Esq. Labor certification is required in the employment-based immigrant visa application process as a means of ensuring that equally-qualified U.S. workers are not displaced by immigrant workers. Labor certification must be obtained by the petitioning employer, not the prospective employee. Obtaining certification is the first step, and must be completed before the I-129 petition is submitted. Certain types of temporary employment-based visas also require labor certification, but the process is different for temporary certification. For most occupations, the employer must conduct recruitment as specified by federal regulations and prepare a recruitment report regarding the legitimate, employment-based reasons that U.S. applicants were rejected. Typically, this summary is all that is required, but the Certifying Officer may request that the employer provide the resumes of rejected U.S. applicants. It is important to note that these qualifications may not reflect the employer’s dream employee for that position. The DOL is looking for actual minimum requirements, meaning that the criteria listed must reflect the training, experience, education and other factors necessary to perform the job in a competent manner. At the same time, the employer will outline the visa applicant’s qualifications for the job. Supporting documentation is not filed with the application, but the employer should be prepared to provide such documentation upon request. Both the employer and the foreign worker are required to sign this application under penalty of perjury. DOL allows for paper-based or electronic application, but electronic applications are preferred and may be processed more quickly. Obtaining Permanent Labor Certification can be a time-consuming process. First, obtaining the required prevailing wage data may take several weeks. Simultaneously or after receiving the prevailing wage information, the employer must make recruitment efforts according to minimum standards. Fulfilling these standards typically takes a minimum of 60 days. The processing of the application itself generally takes about six months, assuming that the application was filed electronically. Paper-based applications may take longer. Once the labor certification is received, it is valid for a period of 180 days. If the certification is not submitted to USCIS within that time period, it will expire and a new certification will be required. Most PERM applications do not require supporting documentation, but in some cases an application will be selected for audit. In an audit case, the employer will receive an audit letter and will have 30 days to respond. Then, the DOL may take several months to complete processing. Thus, the application process where an audit is involved may take more than one year to complete. 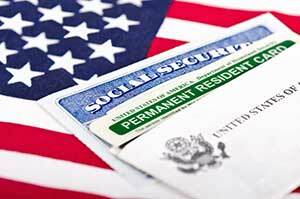 The PERM labor certification application process must be successfully completed before the employer can even submit the visa petition to USCIS. With the PERM process requiring several months to more than a year and the additional time associated with the processing of the visa petition, most employers cannot afford to make mistakes that may delay the process. The guidance of an experienced immigration attorney from the outset can help ensure compliance with recruiting requirements and timely submission of a complete application so that you can move efficiently on to the visa petition process. Give your organization and your prospective employee the best advantage by working with a knowledgeable advocate through every step of the PERM labor certification and visa application process.